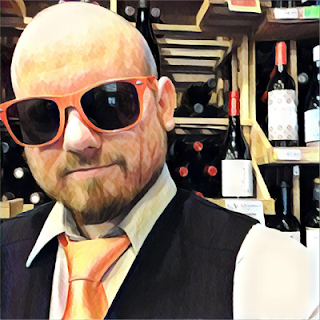 Wine products need to be reviewed just as much as wine itself and what I have here has the ability to improve your entire wine experience, especially when you're looking to drink some white. But that's if it even works. 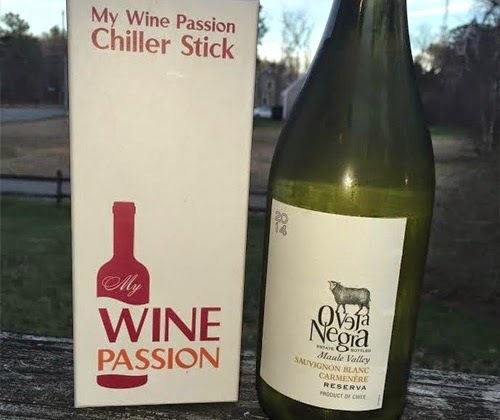 My Wine Passion's Chiller Stick is a metal rod that you keep in your freezer and when you're ready to use it you just screw on the pouring end and drop it into your bottle of wine. Of course you've got to empty out a bit of wine first unless you want it to overflow everywhere, but I'm one to believe that if there's no spillage then you're not really living. So here's the thing: the chiller stick is all about bringing or maintaining the temperature that a wine should be served at so it really doesn't chill your wine the way you might think. You can drop it right into a red wine and let it sit for a bit to bring it to the favorable 55 degrees, but a white wine should be refrigerated first before you utilize the chiller stick and then you can keep it on the table without popping it back in the fridge between pours. I think that's important to point out and you'll see why later. The wine that I'll be using with it is a white wine from Chile that even the average wine drinker seems to buy up despite the strange unfamiliar blend, and the wine professionals seem to like despite its status as a low cost line item. What I'm trying to say is that Oveja Negra (Black Sheep) Sauvignon Blanc / Carmenere does well for itself because of the quality for its price point. In fact, every item in the line is a blend of two grapes and they're all of incredible quality. The wine is white. Sauvignon Blanc is white. Carmenere is red but in this wine it doesn't see contact with its own skins so the juice squeezed out is white. This actually happens more than you would expect but this is the first time I've actually seen it with Carmenere. So I let the wine chill. I let the metal rod freeze. When all is well, I take the pourer and screw it onto the metal rod. I pour out some wine for my homies that ain't make it. Then I drop the chilling device in. Put the kid to bed, kiss her good night, grow some roses in the bathroom, and I'm back to see how it's going. But it doesn't matter how it's going because I've been ready to drink some wine for hours. The pourer on the chiller works well. Many times pourers can be too slow and that's annoying, right? This one pours perfectly, and not only that but the seal looks tight, the shape looks effective and the quality of the plastic looks top notch. My favorite part of the pourer is that there's two layers, giving it a professional look, and looking professional can sometimes mean the world when pouring wine. The nose and palate on the wine are very herbal and citrusy. Chives, French thyme, lemon peel and lime flesh. There's a big body. A heavy weight that Chardonnay drinkers looking for something different would appreciate, but also not so foreign that Sauvignon Blanc fans wouldn't also love. Oveja Negra Sauvignon Blanc / Carmenere 2014 Reserva is only $10. There are other whites in that price range that I would consider "better" but when you want to really break it down... I have never had a more crowd-pleasing, wine-amateur-pleasing, wine-geek-pleasing, food-friendly, stand-alone white wine for $10 than this. Cross my heart and hope to die. From your wine snob uncle to your dad that only drinks Budweiser, this wine, like pizza, will make EVERYBODY happy. I felt with the Chiller Stick that the pourer / aerator was the most awesome part. The chilling rod worked but not as effectively as I had hoped. I mean, it slowed down the warming process but not drastically. Maybe that's my fault because I was expecting it to be ice cold when really you're gonna want it at like 40 to 45 degrees. But I'm going to continue to use it for my whites because I'm too lazy to keep going to the fridge to pour another glass. But again, the pourer is totally worth the investment. Best pourer I've ever owned. BUY THE WINE CHILLER STICK! The Chiller Stick was supplied free of charge by My Wine Passion for the purpose of this unpaid review. The bottle used was a personal gift from Blue Coast Distributors. Dracaena, I make the assumption that you have a plastic wine chiller stick. My Wine Passion Chiller Stick has gel inside as well and is made of stainless steel and is quite durable. I keep a few chilling rods in my freezer for weeks. I've used the chiller stick every time I do a review of a white wine now so the bottle stays right next to me and I can type away without having to keep getting up. It works great and it stays in the freezer between the times I use it. There has been no gel explosions and no sign of it ever happening. That steel is solid.